Sadako finally becomes friends with her classmates, instead of scaring them off. Even Kurumi, the cutest girl in school, wants to be her friend. But will this new friendship make Sadako realize that her feelings for Kazehaya might be more than just friendly? Karuho Shiina was born and raised in Hokkaido, Japan. Though Kimi ni Todoke is only her second series following many one-shot stories, it has already racked up accolades from various "Best Manga of the Year" lists. 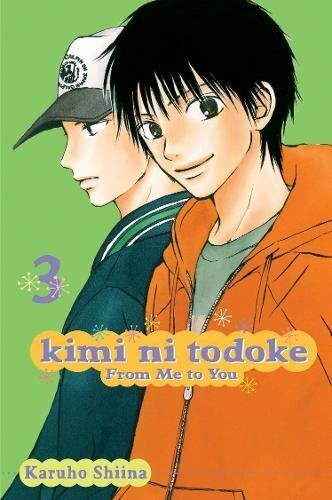 Winner of the 2008 Kodansha Manga Award for the shojo category, Kimi ni Todoke also placed fifth in the first-ever Manga Taisho (Cartoon Grand Prize) contest in 2008. In Japan, an animated TV series debuted in October 2009, and a live-action film released in 2010.